So, yes, it’s wintertime and it’s really cold outside. Far too many people think that once winter weather hits, they have to stay holed up inside their homes. But what about your beautiful backyard and all the enjoyment your family gets out of it? There’s no reason to limit yourself to the summer when it comes to outdoor entertainment. Consider installing a fire pit to make even the darkest winter nights sparkle with fun. How can I use my fire pit in the winter? The same way you would use it in any other time, really! You might have to swap out some of the usual fare- think of trading in your icy lemonade for a toasty cup of cocoa- but sitting around the fire with family and friends never goes out of season. 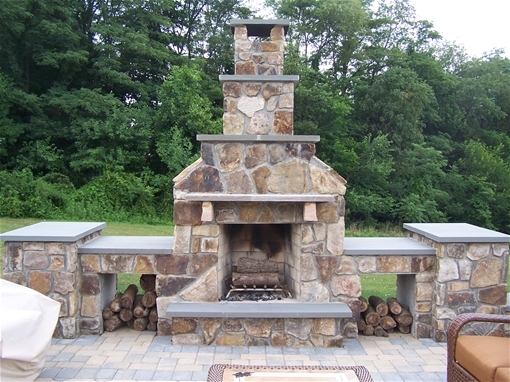 Your fire pit will offer both light and warmth while you still get to enjoy the fresh air. Why have a fire pit at all? Entertaining guests in front of cozy blaze is a surefire way to keep them happy. But a fire pit provides more than that for your home. 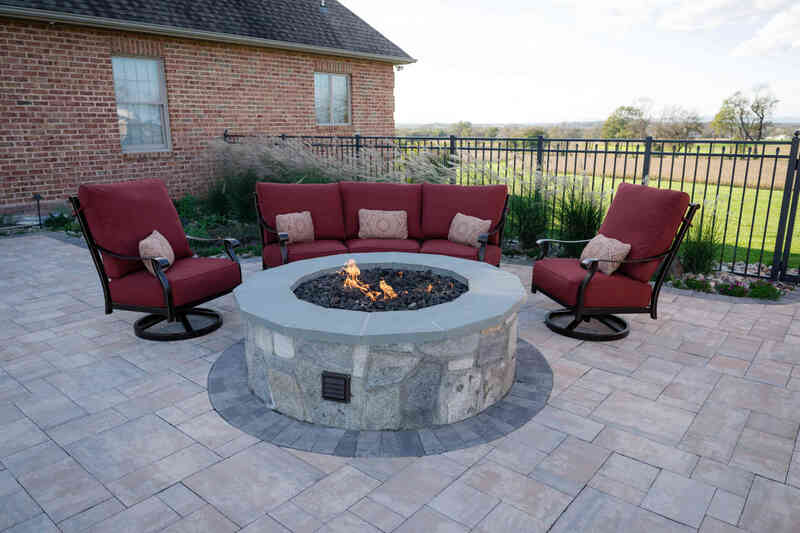 It can also be made to be a decorative and appealing part of your landscaping, and the addition of a fire pit will also add value to your home. With all the benefits it can provide, why not call your landscaper today to install your fire pit? If you have any questions, contact Rhine Landscaping by calling 410-442-2445 or click here today! This entry was posted on Monday, January 14th, 2019	at 9:07 am	and is filed under Blog, Fire Pits	. You can follow any responses to this entry through the RSS 2.0	feed. Both comments and pings are currently closed.